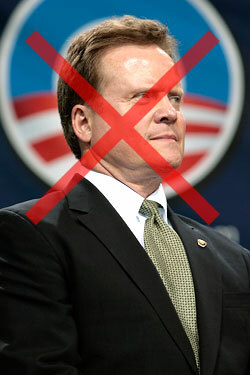 Virginia senator Jim Webb surprised many yesterday by saying he’s committed to the Senate and “under no circumstances” would he agree to become Barack Obama’s vice-president. Many thought Webb had the perfect qualities to balance the ticket: a celebrated military background, swing-state representation, proud Scots-Irish heritage, and outsider appeal. It was like Cinderella’s foot slipping ever so nicely into the glass slipper, except infinitely more manly. And so Obama’s veep process continues with one less option. (We recently evaluated the top candidates; John Heilemann thinks finding the ideal running mate will be difficult.) Herewith, reactions to Webb’s announcement and looks at which contenders’ stocks are rising in its wake.